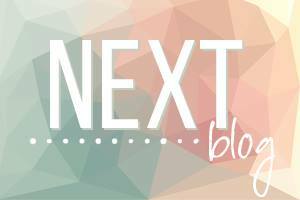 Hello and Welcome to another CASEing the Catty blog hop where we inspire you with our take on the amazing projects featured in our Stampin' Up! Catalogues. This week, we are featuring Mothers Day, and CASEing our projects on the Annual Catalogue. And As you can see I've CASED this card from page 70 which features the great (retiring) stamp set and coordinating thinlits - Crazy About You, and the Hello You Thinlits. There are so many wonderful combinations to create almost ANY greeting you can think of!! My colours are much softer than the original - I've used So Saffron, Mint Macaron, Pink Pirouette, and Calypso Coral, I've added some extra DSP behind my feature panel - it's the Mint Macaron piece from the Succulent Garden DSP. 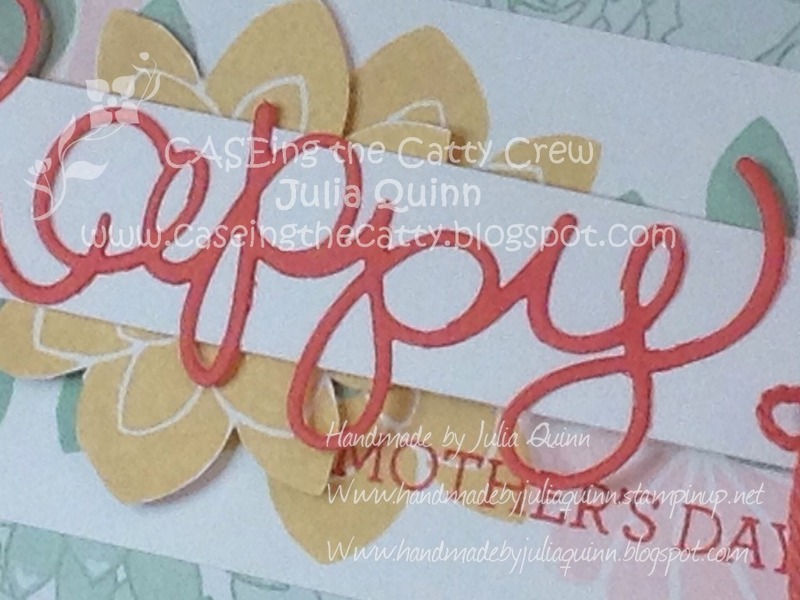 Oh, and here's another Mothers Day card because we are celebrating Mothers Day!! This one features Wisteria Wonder, Perfect Plum, Elegant Eggplant, and Crushed Curry along with Petite Petals, and Picture Perfect stamp sets. The greeting was created using the Brushstrokes Alphabet stamp set. 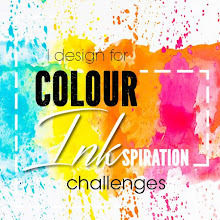 I sincerely hope you've been inspired, and now it's time for you to hop along to see Judy's gorgeous project - she always creates such beautiful cards. 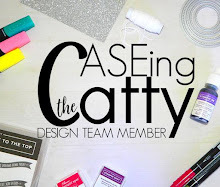 For the complete list of the design team, you can see our CASEing the Catty blog here. 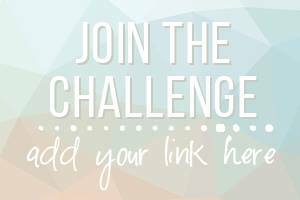 And if you want to join n the fun, add your project to our facebook challenge group!! Please contact me as soon as possible (in Australia) if you wish to place an order in my online store. Two gorgeous cards! Love your case!! Great CASE Julia, I'm really going to miss that set.I've looked at that layout numerous times but never tried it yet- now I think I'll have to . I love your soft colour combo too. Such a 'happy' CASE for your project this week, Julia. Love the colours you've chosen for both cards.